Born: 1827 in Boston Ma. Died: June 12, 1855 in Sandwich Ma. at 28 yrs. Married: July 18, 1846 in Cambridge Ma. 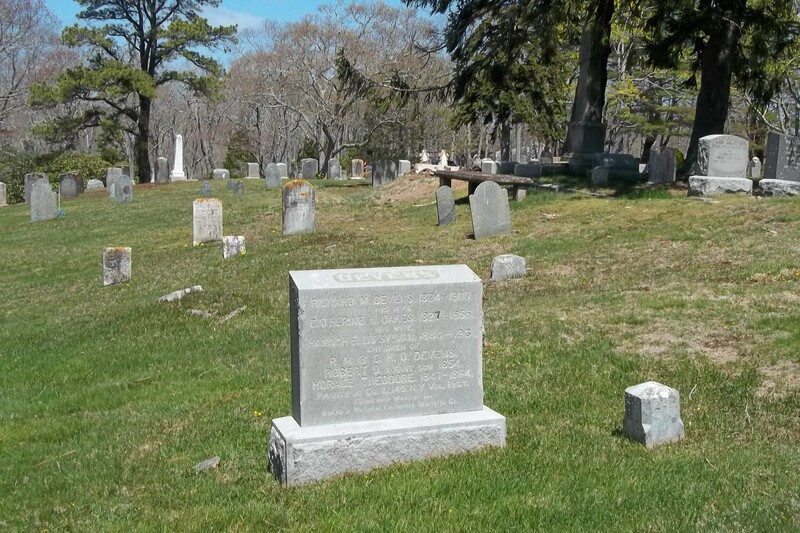 To: Richard Miller Devens; (1824 – 1900) (Samuel Devens & Rachel Nable Carver); Richard married (3) Hannah A. Ellis (1844 – 1931) (Anson Burgess Ellis & Harriet Newell (Howes)) in Sandwich Ma. on January 13, 1864; Hannah married (2) Joseph Sylvan (Manuel Sylvan & Jouguin L. (–)). 1. Horace Theodore Devens, Civil War; (1847 – 1864); Horace was buried in the National Cemetery at Marietta Ga.; His name is on the Headstone of his parents & brother Robert O. Devens. 2. 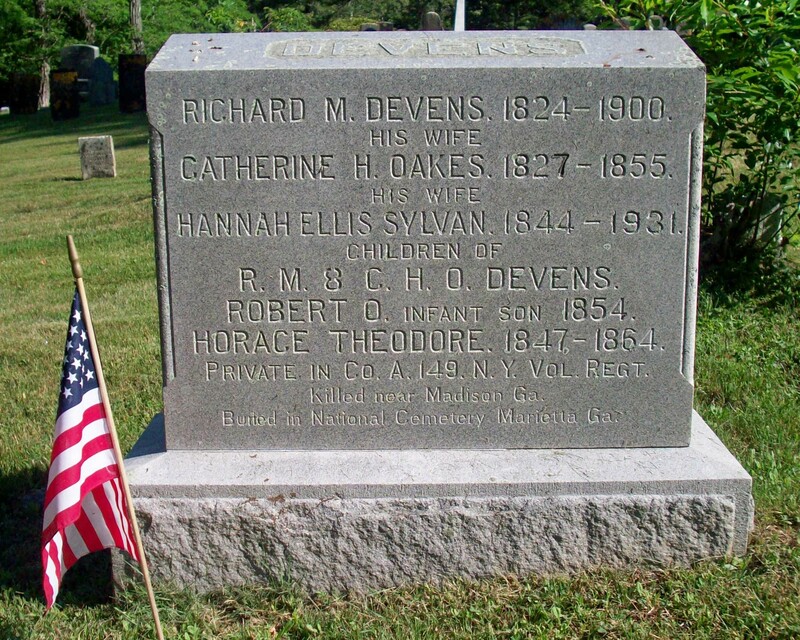 Robert O. Devens; (February 27, 1852 – July 19, 1854); Robert died at 2 yrs, 5 mos. & is buried in Cataumet Cemetery with his parents.